, but I actually feel sorry for the staff in the dealerships! Motorrad Wolverhampton used to be Benhams. Went in there end of last year, and all non BMW kit at bargain prices (Dainese, TCX etc), got me some great boots at a good price. When asked why, they advised that they had been instructed not to sell ANY non BMW branded goods, so all held stock had to be cleared! 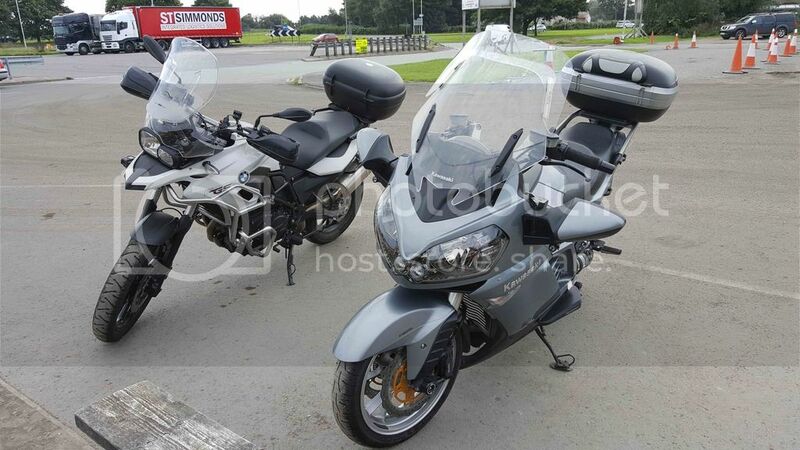 Now Rybrooks own the franchise, same staff, must admit the service I get on my F700GS from them is top class, and been offered really good PX prices on GS and GTR if I go for a new BMW from them, but their policies and refusing to display a charity Blood Bikes poster, bad attitude! This manufacturer dictatorship on the dealerships is whats killed off so many "local" agents, and why we now see small dealerships pushing out the cheaper Aisian / Eastern manufactured stuff! Just checked and even my local Honda dealership at Wolverhampton have lost their motorcycle department now! Plenty out there to evaluate and try / ride / enjoy if it suits. Just don't tell good lady! The Dark Side / Re: What defines the dark side? O.C. - you can't post up pics like those, class machinery! 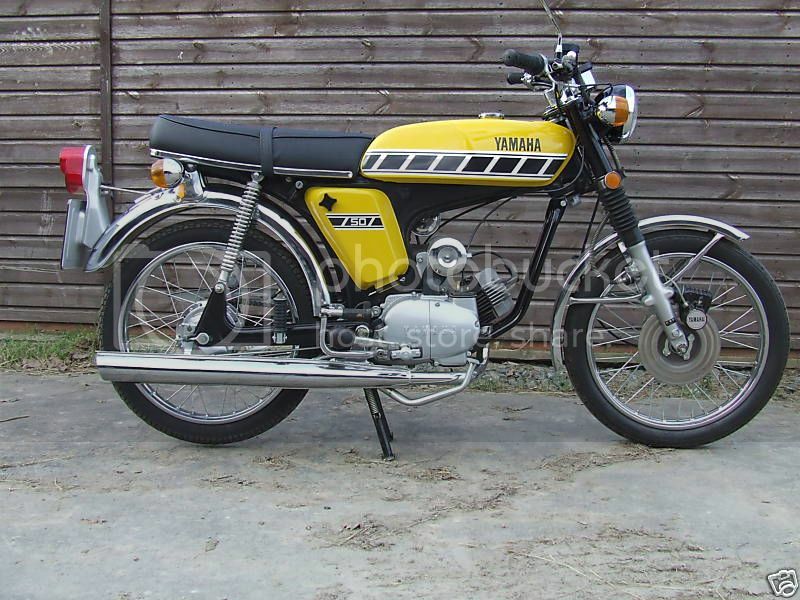 Had a go on an OSSA when riding trials originally, what a beast, I had a Sherpa 350 at the time, great days when I was fit enough to keep picking it up! Last trials bike was a Cota 341, great tool compared to the old stuff, had to give it up when I realised I don't bounce and heal like I used to! KDX - animal, had a 175 in me apprentice days, Forestry Commission boys had great fun chasing us around the Forest of Dean! Would still like another DRZ 400, great all rounder! That's why I have the F700GS now, position still makes me feel like I could ride anywhere but commuter agility and sense rules! Back to thread- yep, new AT is a great tool, just not really built for me and SWMBO with holiday stuff! Never ridden dirt with one, but all reports say great bit of kit! I ride anything that hopefully will put a smile on me face and contentment in the heart! If it really suits me, I like to own it, that's why no K1600 in the garage, mighty fine machine but soul-less! Both me bikes on a run out with me son! That's what makes each day worth it, at whatever cost, as long as i'm smiling! I can't get they thought of owning a Triumph Rocket out of my head. Wether it's said in jest or not, has to be tried! All that capacity............and torque! Need to try one myself but the "change" temptation will always be there! Must try the new Bonnie also, getting really good write ups now it's grown a bit.....size and capacity! Oh..... and the re-worked Tiger 1050, my fave bike before the GTR, new one's s'posed to good! Has this bike been down Poole Quay? If it has it's the one I loved.. Cute little thing that won Bike Of The Night last year..
No idea! Random pic off the net bringing back fond memories of mis-spent youth! Proves size isn't everything......it ain't what you got, it's the way that you use it! Put it away Keith.. Why do you men always have to get things out to prove how big they are? I'm not bigging up size here! Wish I still had one from my youth.........be worth more than a second hand K16!! The Dark Side / Re: Six cylinders.....PAH ! OMG! My first ever sept-gasm! Need a trade contract with Autosol - and plenty of elbow grease! The Dark Side / Re: GTR SMASHED! Hoping it's a quick heal for you and the GTR's a straightforward repair. Really hoping Karma exists towards the BMW driver, you can't dish that out without expecting it back at some point! The Dark Side / Re: The transition to the dark side is complete. All M/C's should be ridden and enjoyed as to design! I've yet to ride one that I've said I'd never get back on. Enjoy your BM, I love me GTR but would readily have a GS1200 again in me garage as well if I could afford one! Four wheels move the body.....two wheels move the soul!